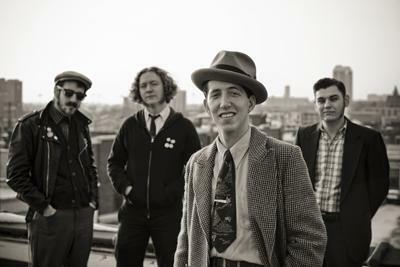 Pokey and his band, the South City Three (Ryan Koenig, Joey Glynn and Adam Hoskins), rang in New Year's 2012 playing in England on the legendary Jools Holland Hootenany on the BBC. They went on to tour across Europe in support of their album Middle of Everywhere. LaFarge and the band also backed former White Stripes singer Jack White on a North America tour promoting White's first solo album, Blunderbuss. If all that wasn't enough, LaFarge also contributed a song to the hit HBO series, Boardwalk Empire. 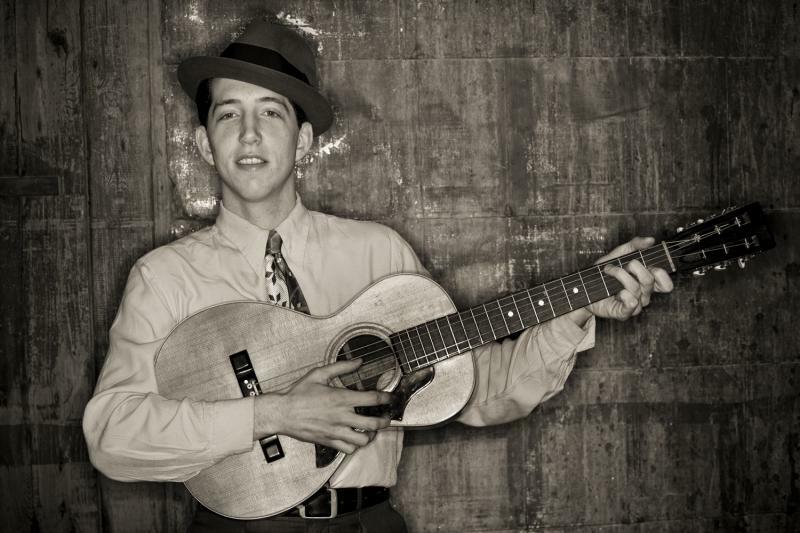 While Pokey’s music is clearly leans heavily on the bluegrass and country sounds of his idols, guys like Bill Monroe, Jimmie Rodgers or Bob Wills, his tunes don’t come off as imitations. Rather it they just seem to spill out of a completely natural American sensibility...and because he comes by it so honestly, the music itself feels just as fresh in 2013 as it was in 1932. “I guess that’s the interesting balance that you hang in between,” notes LaFarge, who never tries to downplay his respect and appreciation for the music of times long past. This question, about authenticity, is something that Pokey gets a lot. I mean, he’s 150 pound man, who wears Brylcreem in his hair, a newsboy hat and has a fondness for bow ties. But as far as Pokey the musician is concerned, the “package” as he calls is it, is just part of the process of connecting with his audience. “I have a very clear-cut explanation for almost everything I do, why I dress the way I dress, why I play I play the music that I play,” LaFarge says. At the heart of LaFarge’s music is deep and fierce appreciation of craft, both his own, and a respect for so many musicians no longer fresh on the minds of the music-listening public. “I’d rather be chalked off as a novelty, I’d rather be seen as a throwback,” admits LaFarge in between sips of black coffee. You can see lots of classic St. Louis landmarks in the Bill-Streeter-produced video for "So Long Honeybee, Goodbye". 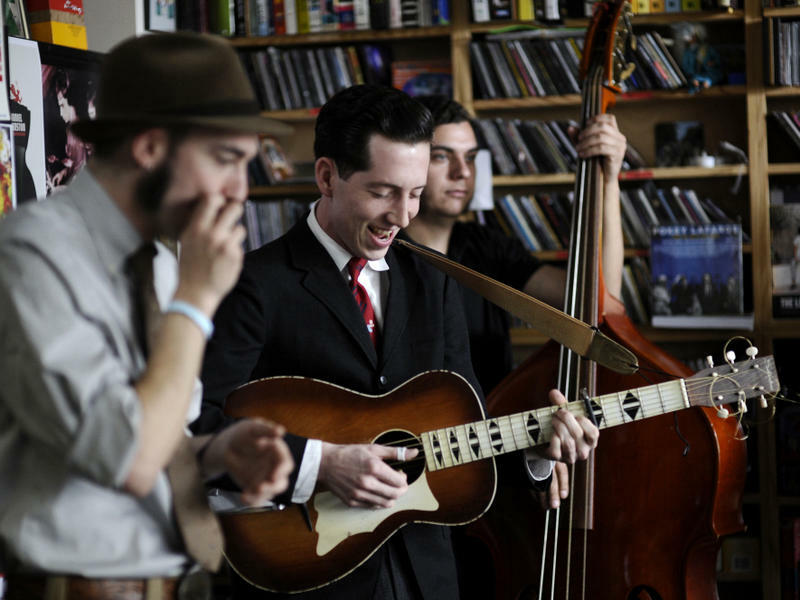 Also see them playing on NPR's Tiny Desk Concert Series in 2011. In recent years, many roots-based bands like LaFarge, or Old Crow Medicine Show, or The Felice Brothers from upstate New York, have achieved a certain amount of notoriety that wasn’t there as recently five years ago. Still, when it comes to the appropriation of Americana by the pop marketplace, LaFarge is put off by the approach of mega stars like England’s Mumford and Sons or the Avett Brothers, here at home. 2013 will see the release of a new, as yet un-named Pokey album, currently in production with the help of Ketch Secor from Old Crow Medicine Show. For his part, the grinning guitar player, singer and banjo picker says this new release will be a bit of a break from his previous albums. LaFarge granted St. Louis Public Radio permission to release a couple of exclusive, live, acoustic tracks here. You're also permitted to download - just click on the down arrow button in the players below. From proponents of local control of the St. Louis Metropolitan Police Department to the success of the St. Louis Cardinals, it was a “good year” for many St. Louis people, places, and ideas. Host Don Marsh talked with a panel of guests as we continue our “A Good Year” series. The arts community in St. Louis offers a wide variety of performances and venues with music, art, theater, dance, and more. As we continue our “A Good Year” series, host Steve Potter talked with Vince Schoemehl, President of Grand Center, Inc., and Cynthia Prost, President of the Arts and Education Council of Greater St. Louis, about why it was a “good year” for the arts. In addition to a wide ranging discussion with guests, we asked our listeners to contribute their highlights. Some of that feedback is below.